Small businesses play an important role in LinkedIn’s mission to connect the world’s professionals to make them more productive and successful. In fact, according to the U.S. Small Business Administration, small businesses make up 99.7% of employer firms. * That’s why LinkedIn is proud to be the Premier Sponsor of the 2015 Mission Main Street Grants® program. This program is part of Chase’s commitment to help small businesses thrive; LinkedIn’s sponsorship is part of our commitment to do the same. LinkedIn is contributing to the 2015 Mission Main Street Grants® program by delivering additional value to all applicants. So what can a Mission Main Street Grant do for your business, and how can LinkedIn help? We asked a 2014 grant recipient. 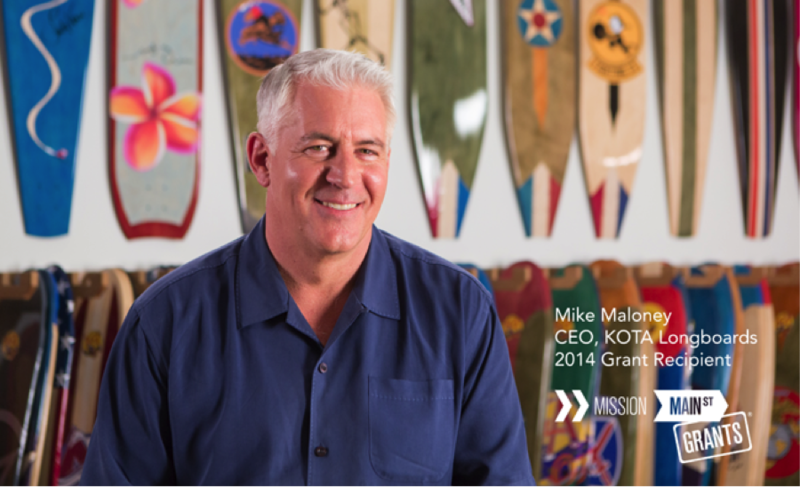 Last year, Mike used Company Updates on the KOTA Longboards’ LinkedIn Company Page to promote his Mission Main Street Grants application and tapped into his LinkedIn network of Navy veterans and other professional groups to help secure the necessary 250 votes to qualify for the grant. As a result, KOTA Longboards received 250 votes in just 4 days. If you are ready to take your small business to new heights, apply for a grant through June 5th at MissionMainStreetGrants.com.